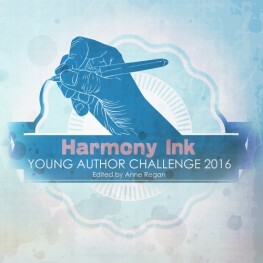 Harmony Ink Press is looking for young authors writing in the LGBTQ+ genre to submit short stories for our third annual Young Author Challenge. Submissions between 2,000 – 10,000 words will be considered. Main characters should be 14 – 21 years old and can be gay, lesbian, bisexual, transgender, or anywhere else on the LGBTQ+ spectrum, including still in the process of working out their sexual/gender identity. The story should portray positive LGBTQ+ characters who grow or change for the better in some way. See the general Harmony Ink submission guidelines for more information. Requirements: Authors will be between the ages of 14 – 21. If the author is 17 or younger, a parent or legal guardian will have to sign the publication contract should a story be accepted. Selected stories will be published in an anthology to be released in both paperback and eBook formats. Accepted authors will be paid a flat rate based on story length. Payments will range from $35 – $65. Feedback from at least one published author will be provided for all submissions. Send all submissions to anneregan@harmonyinkpress.com. Please include “Young Author Challenge Submission” in the subject line of the e-mail. Click HERE for general submissions guidelines.